The E39 generation BMW M5 is considered by many to be the pinnacle of BMW's executive class cruisers. 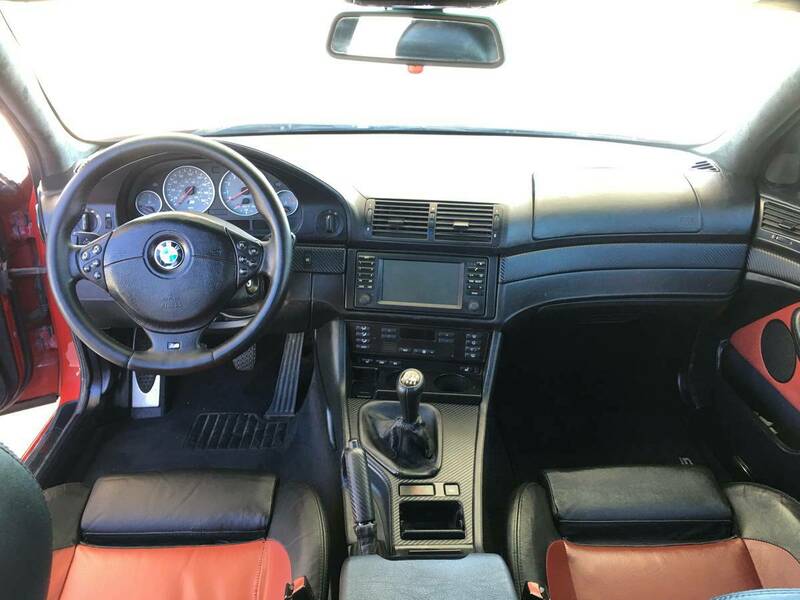 The older M5s (E28, E34) are cruder, slower, and less exotic, while the newer versions (E60, F10) are so thoroughly complex that you won't want to be anywhere near the pink slip when they hit 150k miles. 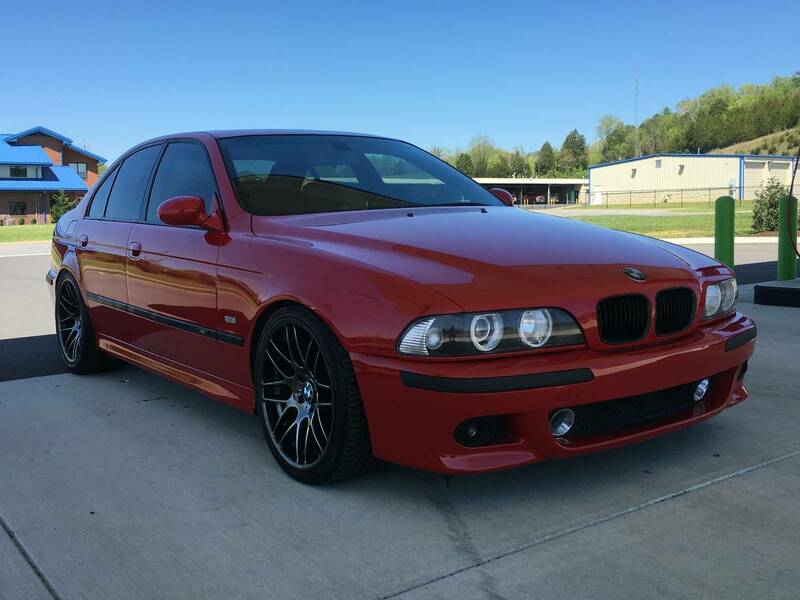 Find this 2000 BMW M5 E39 offered for $14,950 in Charleston, SC via craigslist. Tip from FuelTruck. I'm not going to stand here on my soapbox and claim that newer cars are lame because they are overly complex, even though they are faster, safer, and more fuel efficient...but I will say that diagnosing problems on a high mileage car from the 2000 model year is probably easier than doing the same thing for a 2015 car...but only time will tell. 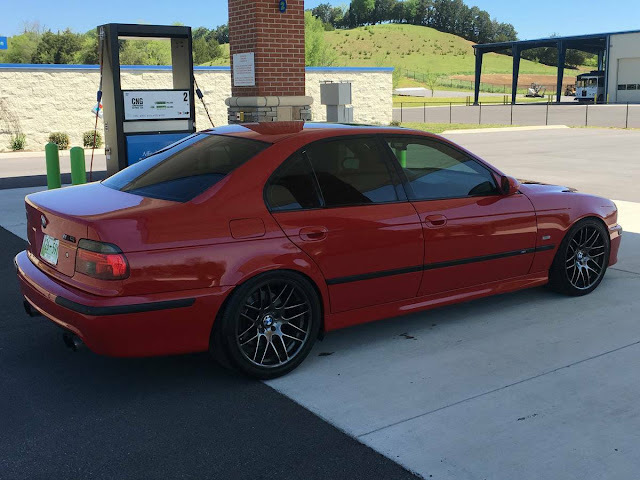 Powering the E39 is a 4.9 liter S62 V8 that is rated at 394 horsepower and 369 ft-lbs of torque. Like all E39 M5s, this one is shifted by a standard 6-speed manual gearbox that puts power to a limited slip differential out the back -- it was built in the time before electric trickery gave cars sub 4.0 second 0-60mph times, but it goes fast without a turbocharger or 7-speed dual clutch flappy paddle gearbox. Looks nice! I wonder what the mileage is. Not a fan of the wheels, but then, I like original stuff. 164K miles. Seems pretty high priced for the high mileage for the ask. Yeah, you've got more turbo motors and fancy transmissions and all that, but there are really only two things that new vehicles have that IMO represent any improvement over the E39: good stereo Bluetooth and stability/traction control that's not Ilsa-She-Wolf-Of-The-SS strict, rapping you on the right knee with her riding crop any time you want to make a little noise.